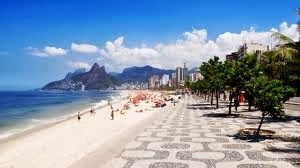 I often dream about Rio de Janeiro, only my dreams have nothing to do with a desire to travel. They're drawn from recollections I have of growing up there as a child with my parents, who had a long history there before I was born. Although I was only 8 when we moved away, their passion for it - combined with my early memories - have left an indelible imprint. Later, as a Pan Am flight attendant I traveled there regularly and somehow, I always felt like I was returning "home." I still feel that way. The heat of Rio doesn't come just from the sun, but from the welcome its residents – known as “Cariocas”- give visitors to their city. It is a happy city, filled with laughter and music but - like many large cities - it has been plagued by crime, but if you take basic precautions, you shouldn't have any trouble. So true, and while the lyrics of Carnaval songs learned long ago do that for me, it's the sweet scents, particular to Rio that stir me. The salty surf; the tempting tang emanating from churrascarias as meat is grilled; the rich aroma of earth when I first step outside the airport terminal; freshly brewed coffee at the renowned Confeitaria Colombo, where my mother would take me for pastry. For most people, thoughts of Rio conjure up visions of long stretches of beach crammed with beautiful people decked out in skimpy tangas. For others, tales of the renowned – and raucous - Carnaval where the samba beat goes on day and night for three days - come to mind. When I was a child the rowdy celebrations took place in local neighborhoods and since we lived in popular Copacabana, they woke us every time they paraded through our streets. Revelers carried cans of ether to spray unsuspecting women into unconsciousness. It was total debauchery. Nowadays, it's more subdued and most of the partying takes place in the Sambadrome (Sambódromo), a stadium designed by Oscar Niemeyer and inaugurated in 1984. Then, of course there are those visions of Corcovado, the impressive statue of Christ the Redeemer (Cristo Redentor), arms outstretched from his perch high above the sea and the impressive Sugarloaf Mountain overlooking the bay.When the Portuguese first arrived in the 16th century, they named the mountain Pináculo da Tentação (The Pinnacle of Temptation), alluding to the Biblical Mountain. 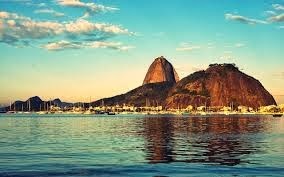 A century later, the mountain was renamed Corcovado, a name derived from its form, which resembles a hump or hunchback. In the 19th century, Vincentian Father Pedro Maria Boss arrived in Rio and suggested the construction of a religious monument, which was inaugurated in 1931. Another signature sight - since it opened in 1912 - is Sugarloaf (Pão de Açucar), which is reached via a series of cable cars taking you to the top of the mountain, high above Rio. Once there, you're treated to sweeping vistas of the city, the beaches hugging the Bay of Guanabara, and beyond. There is no denying its inherent sexiness and natural beauty, but there's more to the Cidade Maravilhosa (Marvelous City) than sun, sand and samba. Poised to host the World Soccer Cup in 2014 and the 2016 Summer Olympics, this city has morphed into a sophisticated metropolis boasting excellent museums, scintillating nightspots, a plethora of delicious dining options and a collection of wildlife, unique attractions and breath-taking sights. A melting pot of diverse cultures, it offers an interesting peek into traditions – musical and otherwise – drawn from its rich heritage. For sun worshippers, the beaches, of course are the main draw with the most publicized: Copacabana, Leblon and Ipanema – made famous by the hit tune - “Girl from Ipanema” – leading the list. For nature lovers, the Botanical Gardens, (Jardim Botânico) created in 1808 offers an opportunity to get up close and personal with the area’s flora. With more than 8,000 plant species, it has been designated a "Live Museum" and is a popular destination for visitors and residents alike. Another natural beauty is Tijuca Forest, said to be the largest urban forest in the world. History buffs will enjoy a tour of Forte de Copacabana, built in 1914 on the promontory of the Our Lady of Copacabana chapel. The fort was one of Rio's premier defenses against attack and you can still see its original features, including the canons and a museum tracing the early days of the Portuguese colony to the mid-19th-century. The renowned Copacabana Palace Hotel has been a favorite with the glitterati since it opened in 1923. Its privileged location on Copacabana Beach provides the perfect launch pad from which to visit the city’s sights. It happens to be where I performed my one and only ballet recital as a child. I remember it as if it were yesterday and the music lives on in my memory, just as Rio does. It is without a doubt, a unique destination - at any age and any time of year. Gosh, you have whet my appetite to visit Rio! I love Lisa Schroeder's thoughts about how "music can be like a time machine". I've had my own experiences that prove that to be true. Lovely story and great tips for those of us who haven't been to Rio --- yet. I liked her quote, too. It's so true. Thanks so much for your comments....I suggest you get there ASAP. Brazil is an amazing country. I used to return often with Pan Am. Since I lived in both Brazil and Portugal, I'm still able to switch back and forth so I have no problem. I do agree with you that the Continental version is more guttural and harder for Spanish speakers to follow. I also have 25 years of living in Spanish-speaking countries under my belt so sometimes that sneaks into my Portuguese. My dad was from Portugal and whenever we moved back to the US he'd try to speak to me in Portuguese, but like most kids who spoke only English to their parents, I refused. Somehow I was able to keep it going all these years, though it's no longer as fluid as my Spanish.